Starwood will debut its new Sheraton Grand branding in London later this year, when The Park Lane Hotel becomes the Sheraton Grand London Park Lane. 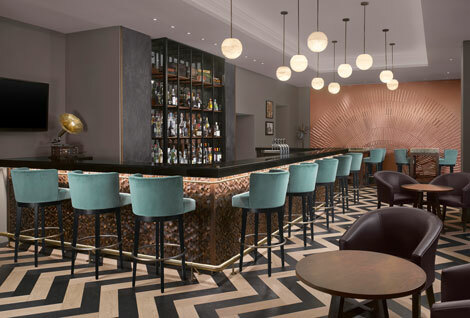 The 90-year old hotel has been undergoing a multi-million pound renovation programme, with all 303 rooms “stripped back and redesigned in order to create an elegant, luxury hotel experience capturing the spirit of the Art Deco era”. The works have also created 43 new Sheraton Club rooms, with access to the club lounge, and 21 reconfigured suites with views of Green Park. A new cocktail and craft beers bar Smith and Whistle has already opened, and will be followed by Italian restaurant Mercante this summer. The hotel’s lobby has been refurbished, and the Palm Court Lounge is also being renovated, with new food and beverage concept Paired offering “small plates and eclectic bar snacks served alongside suggested premium wines and local craft beers”. Starwood launched the Sheraton Grand brand last year, and there are currently 27 hotels within the portfolio.